Unless I write something down it doesn’t happen. Meetings, doctor appointments, lunches with friends, writing deadlines etc, if I don’t put them on my calendar I don’t do them. If I didn’t put when my symphony dates were on a calendar I’d forget to go. I think my brain is oatmeal. In fact when things get really crazy I have to print off a bigger calendar to fit in all the stuff. This usually happens around the holidays. I even have to put in things like when to mail off the Christmas cards...when I used to do Christmas cards...when to bake the Christmas cookies, when to wrap presents. If I don’t schedule things out like this the week before Christmas or vacation comes and I’m running around like a crazy person trying to get it all done. 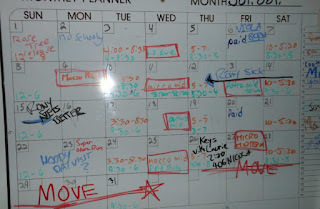 I need a schedule or nothing gets done. And I use a calendar to keep track. One of those calendars I get for free for donating to an animal rescue or animal rights group. I rip off each month and tape it to my wall so I can see it every day and what’s coming up. The newer version of this is using your iPhone. It has a calendar...so I’ve been told...and you can put the info there and that smart old phone will even remind you when you have an appointment or when to take a pill or anything else you need reminding. 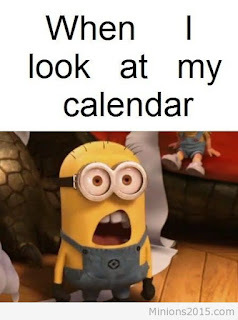 My problem is I need to see the whole month at once so know if I need to freak out or not. AND there’s the little fact of if I used the iPhone calendar I’d have to learn how to use it. So what about you? Do you use a physical calendar to keep track of events in your life? 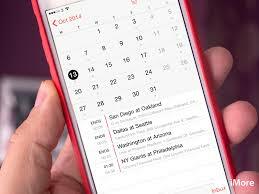 Are you a smarty-pants and use the iPhone calendar or are you super smarty-pants and keep all that info in your head?